Planning to produce an animated explainer video for your business? It’s easy to see why. One study found that 74% of people who watched an explainer video to learn more about a particular product or service ended up purchasing it. 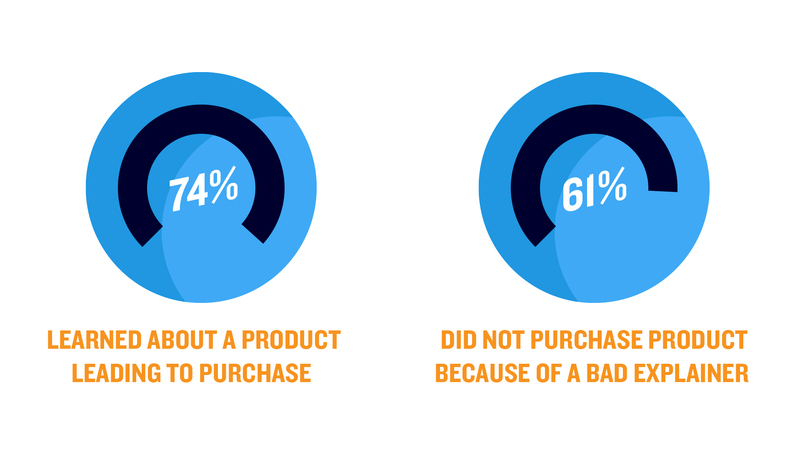 However, 61% of users said they actually put off buying a product after watching a bad explainer video. That’s why it’s so important to ensure you understand how to properly plan and produce your company’s animated explainer video. Animated explainer videos are an excellent way to boost brand visibility, increase engagement, and gain an edge over competitors by communicating your solution clearly. A great video can get your business in front of potential customers, increase user understanding, and express your brand’s voice and personality. But if you’ve never created a video like this before, you may be a little overwhelmed about how to get started. You probably want to offer your customers an interesting, creative, and exciting video. And creativity is definitely a large part of the process. But you should initially be focused on communicating your message simply, clearly, and succinctly. The creative comes much later on. What do you want to say? This seems simple, but it can be easy to veer off track here. The goal of your animated explainer video should primarily be to explain your product, process, service, or idea. Now’s the time to define the top 3-5 critical points you’ll use to communicate this message. It can be tempting to be creative here and focus on how you’ll say this, but this part of the process is all about the hard facts. Outline any features and benefits, values, or the ‘bare bones’ of the process you plan to explain. This step is a crucial since you’ll obviously want to get your video in front of the people who are most likely to become clients or customers. If you haven’t yet created personas, now’s the time to do this. Ideally, you should know where your customers live and work, how old they are, their goals and dreams, the problems keeping them up at night, and more. The more you know about your target viewer, the better your video marketing agency can help you tailor your animated explainer video specifically to them. Before you begin video production, you’ll need to get your assets in order. This will make it much easier when you’re working with a video production company later on. These assets include your brand guidelines, tag lines, logos, fonts, images, designs, and more. This can take some time if you don’t yet have a centralized solution and you need to get these from multiple people. Look for the highest possible resolution so your video production agency will have the best quality to work with. This is a fun part of the process. Look for reference images, links, videos, ads, and blog posts you like and dislike. Don’t consider your message or branding here- just find things that either speak to you or don’t. Consider why you find some of these things appealing and yet don’t like others. Think about the color, pace, brand, voice, sophistication, and anything else that stands out to you. There are more options than ever before when it comes to communicating a message through animation. One way to think about this is through detail. If you consider the last Pixar movie you watched and compare it to the last PowerPoint presentation you saw, it’s easy to see how important this detail is. Think about depth, motion, and visual diversity. These can all be increased and decreased by your video partner based on what you’re looking for, and how important this asset will be for your company. It’s a good idea to establish your budget up front, so your corporate video production company can give you the best possible solution based on your needs. They’ll be happy to help you understand what they can do for you at each price point, and a candid conversation will ensure you don’t feel stretched. Once you’ve completed the above steps, you’re ready to talk to a video production company. We’ll teach you everything you need to know about working with a video partner in Part Two of this post published later this week! In the meantime, if you’ve got any questions about producing an animated explainer video, or you’re looking for a Houston video production company, get in touch today. 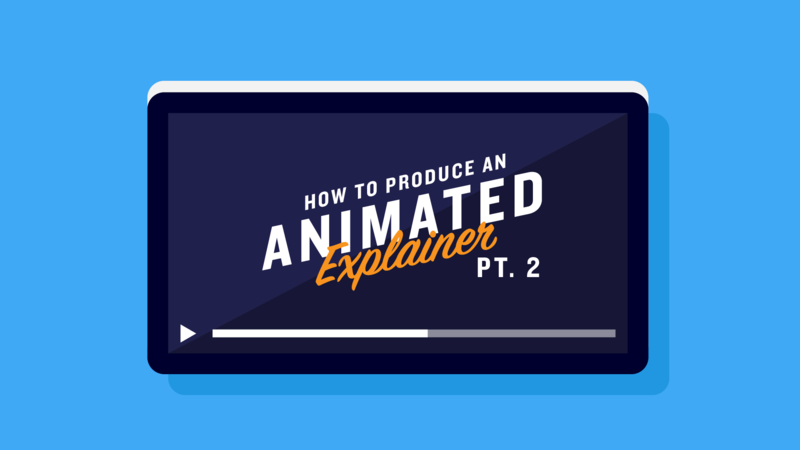 You've read Part 1 and prepared for your animated explainer video. Now what? Ready to make your corporate video but don't know which type to make?